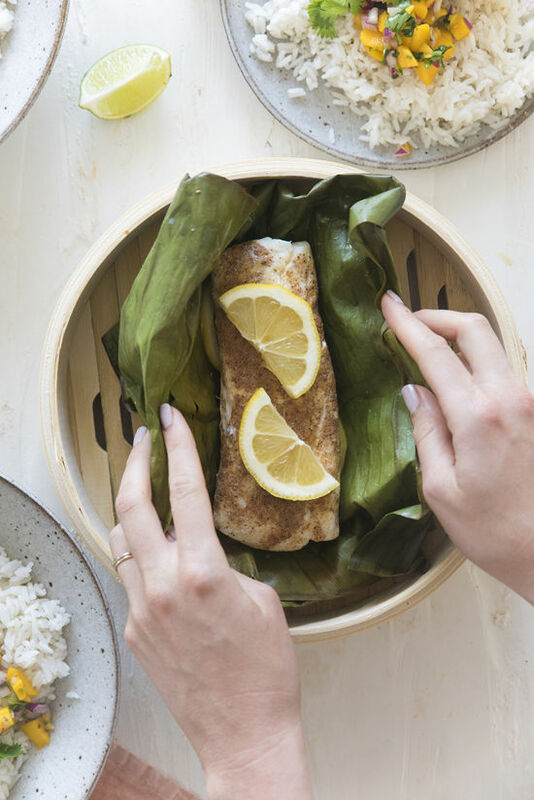 also, we made this coconut sticky rice to serve along side and followed the recipe exactly. 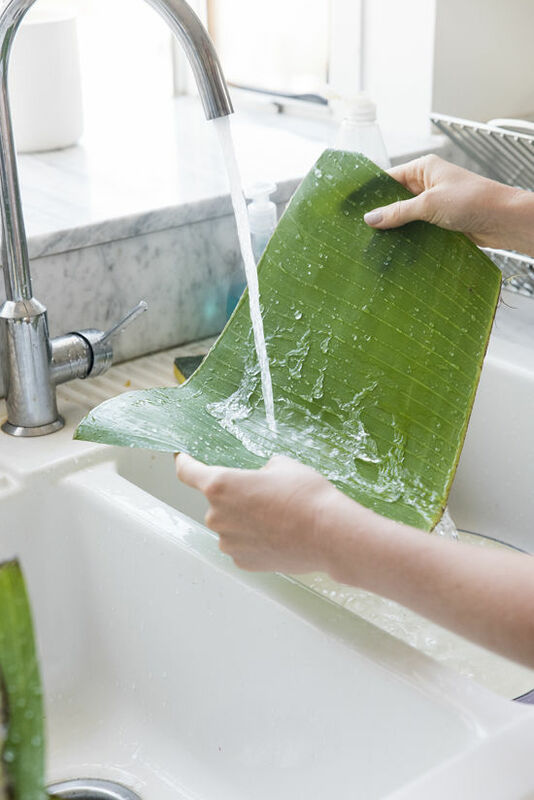 • start by gently rinsing the banana leaves, pat dry. 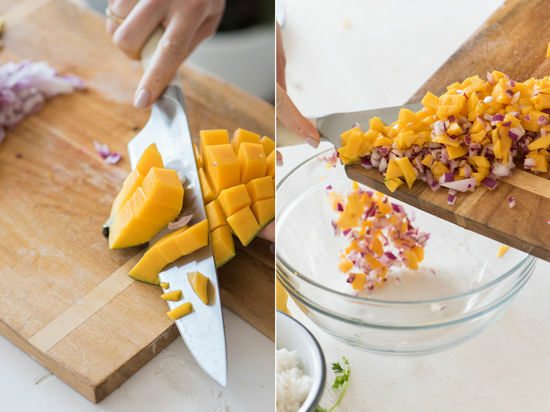 cut into squares large enough to wrap the halibut. set aside. • combined the smoked paprika, ground ginger, cumin, nutmeg and cayenne, mix well. 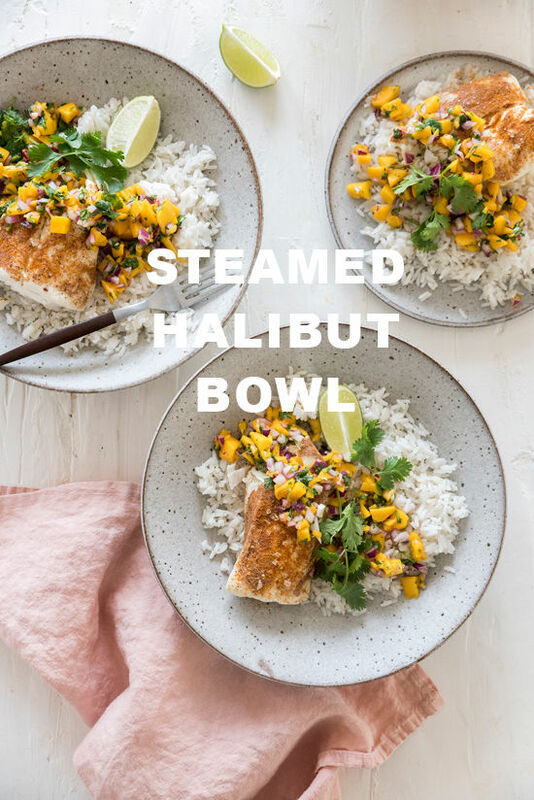 dust each halibut filet with the rub. 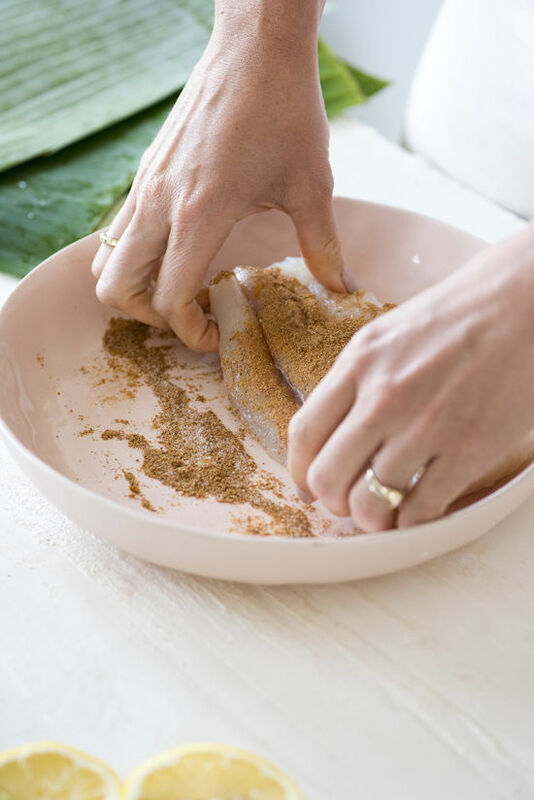 • to assemble lay a banana leaf flat in front of you, place two lemon slices in the center and put the halibut on top, sprinkle with salt. 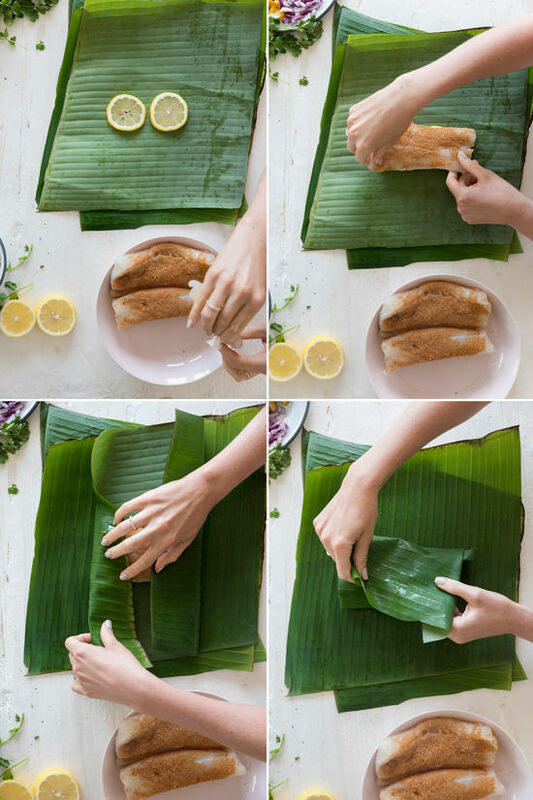 wrap the banana leaf as pictured below by folding one side at a time. 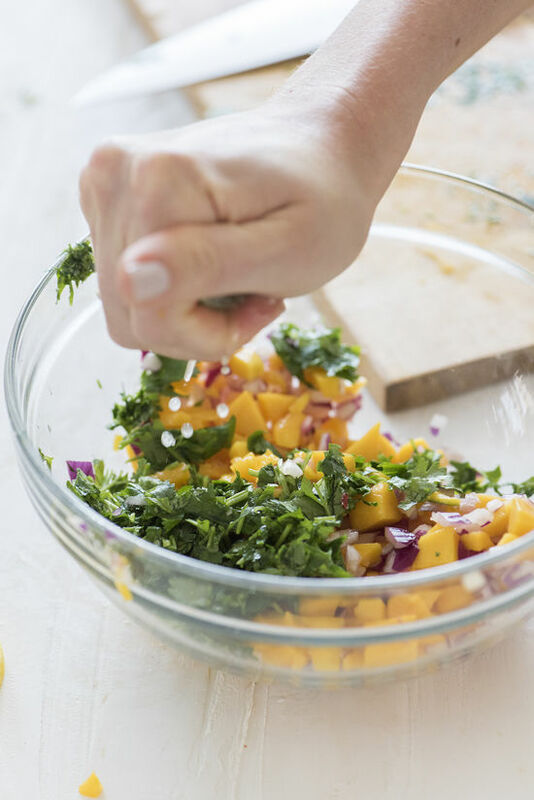 • in a stock pot fill a quarter of the pot with water and bring to a boil. 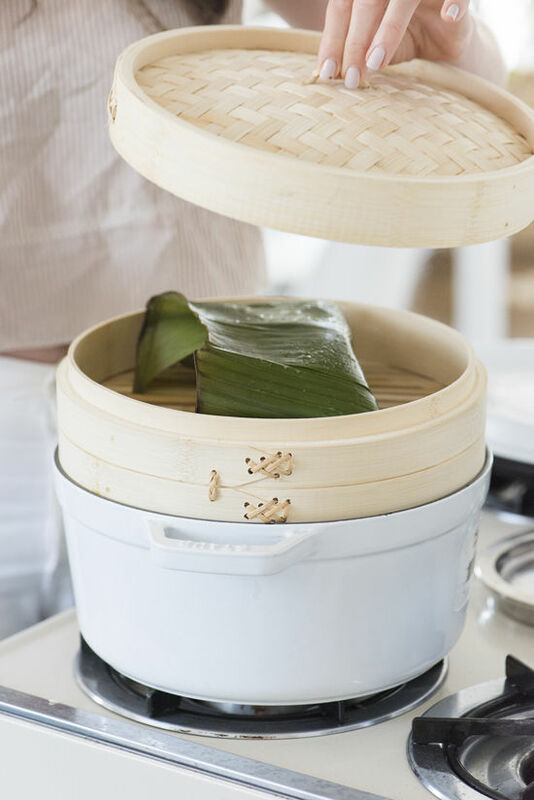 cover with a bamboo steamer and place the wrapped fish inside, we did one piece at a time. cover and steamed for 8-10 minutes or until fully cooked and the flesh is white. 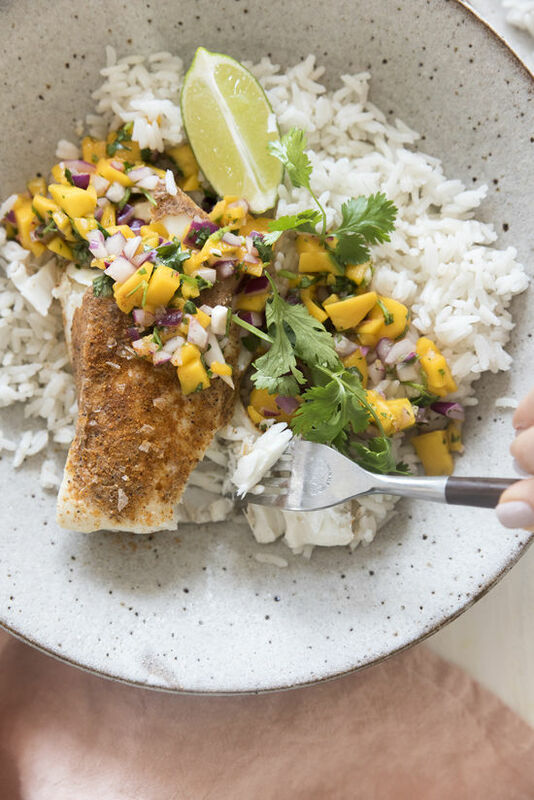 • while the fish is cooking, make the relish by finely dice the onion and cilantro and mango. 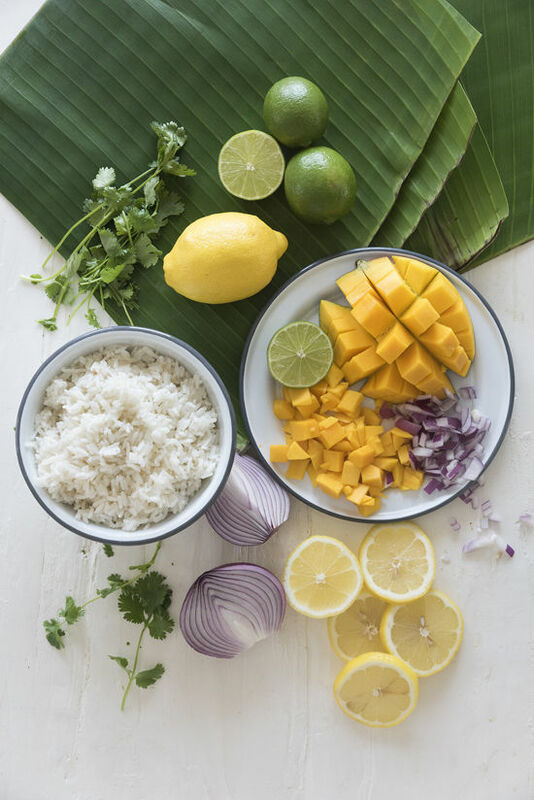 mix with the juice of a lime and season with a bit salt of taste. 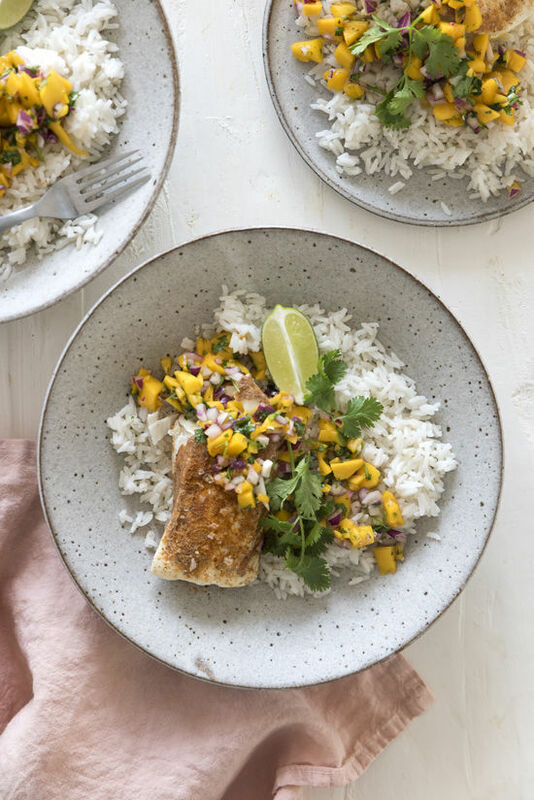 serve over the sticky rice and top with the mango salsa and a wedge of lime! Yumm, almostt too pretty to eat!